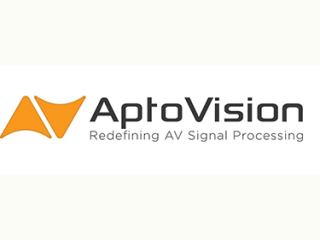 AptoVision announced BlueRiver NT1000, the latest product in AptoVision’s BlueRiver NT+ Series of AV-over-IP chipsets. AptoVIsion's chipsets are the only chipsets to transport uncompressed, zero-latency Ultra HD/4K HDR over Ethernet. BlueRiver NT1000 delivers all the same IP-switching and extension capabilities, while reducing the bill of material costs for AV over IP encoders and decoders by up to 50%. The HDMI 2.0 and HDCP 2.2 compliant BlueRiver NT1000 can transmit true 4K/60Hz (4:4:4) video with zero frame latency over 100m of CAT‐x or 30KM of fiber. It supports the complete range of signal types including audio, GbE, USB 2.0, RS‐232 and IR, all of which can be routed independently. Audio can be extracted from or injected into any HDMI stream within the network. AptoVision's flagship chipset, the BlueRiver NT+, is now renamed BlueRiver NT2000 and continues to offer AV processing capabilities which enable video-wall, multi-view and seamless switching applications. Together, the two members of the BlueRiver NT+ Series allow manufacturers to offer a top-to-bottom portfolio of AV-over-IP products which address the full range of feature, performance and pricing requirements for virtually all AV applications.